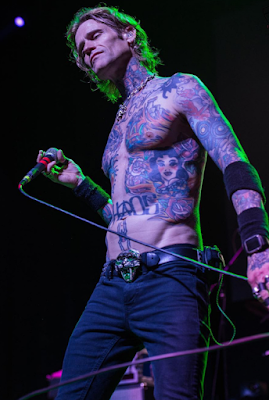 Buckcherry recorded their eighth studio album with producer Mike Plotnikoff; the set marks the follow-up to 2015’s “Rock ‘n’ Roll”, which reached No. 93 on the US Billboard 200. "Good things come to those who wait,” says singer Josh Todd, “and we have been very patient and thorough with the songwriting for 'Warpaint'. We took into consideration all the factors and what this record means to, not only us, but the great Buckcherry fans around the world. "This record takes the listener on an unforgettable journey and I'm very proud of it." The Anaheim, CA band have been playing material from the album in a series of preview shows in the US and, now, in the UK and Europe before launching a North American tour in Sacramento, CA on March 6.